“We all know of the devastation that happened in Japan on March 11, 2011. -The effects of these disasters are devastating, still lingering within Japan and they need our help! We need to come together as the University of South Florida and show that we care and we want to help this country in need. Raffles will be sold off. 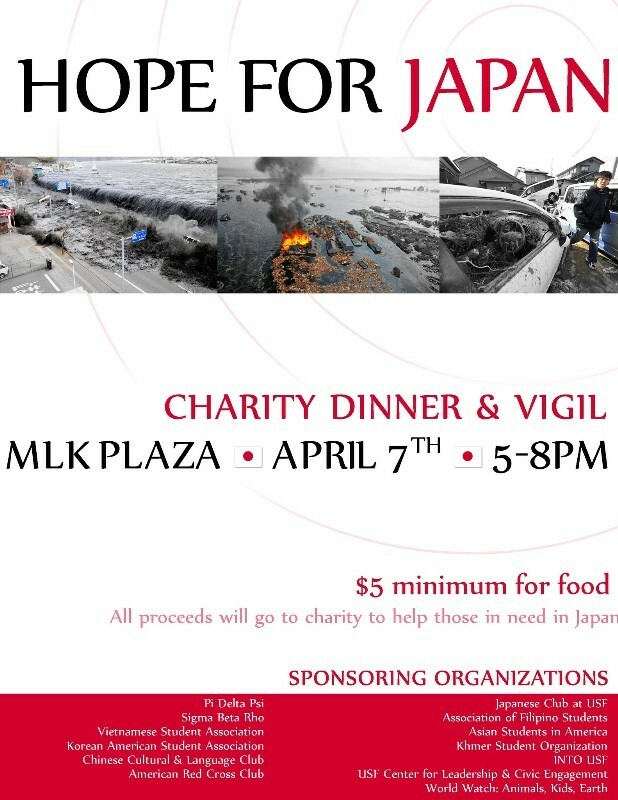 Come out and win gift certificates and other things for donating to Japan relief! Previous Post PhilFest 2011 in Tampa Next Weekend April 8th-10th!